Mary Nandhego is a widow, who is caring for seven of her grandchildren. She farms the land to provide food for her family. 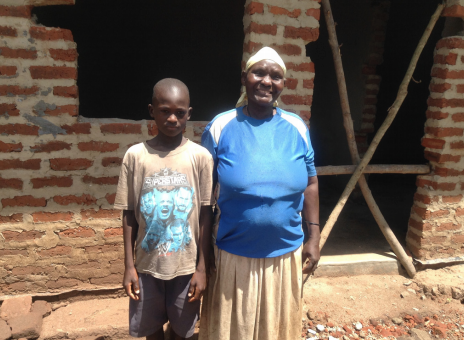 Thanks to your generosity Mary and her grandchildren have received a new brick home with a latrine and an adjacent bath! Older PostGrace Nalukwago Has a New Home!